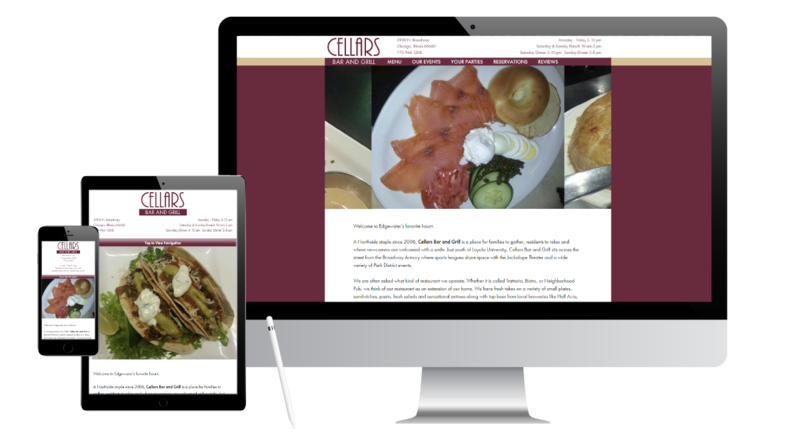 Cellars Bar and Grill - What A Great Website! Iris has worked with Cellars on their marketing for ages. She knows what makes this Edgewater spot so special and how to translate that into their online presence. Their food is amazing and visitors can see that when they visit the site. They can also scroll upcoming events and specials on the easy-to-update calendar. Logos of some of the dining awards they’ve won are prominently featured in the footer. If you’ve never been to their Sunday brunch, you don’t know what you’re missing!